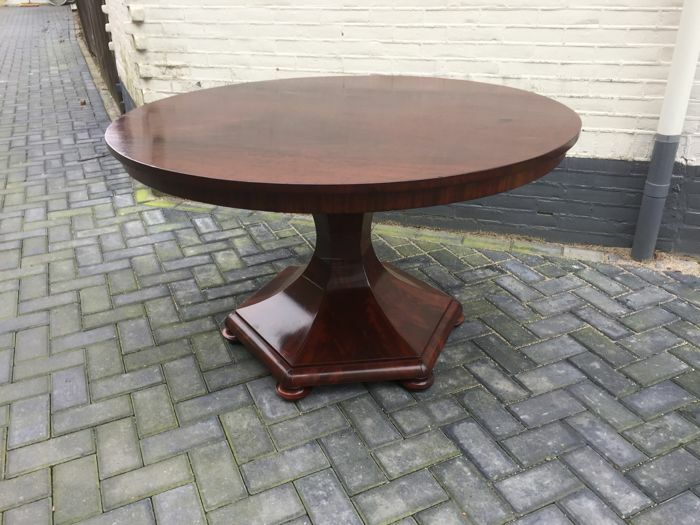 Biedermeier mahogany dining room table. 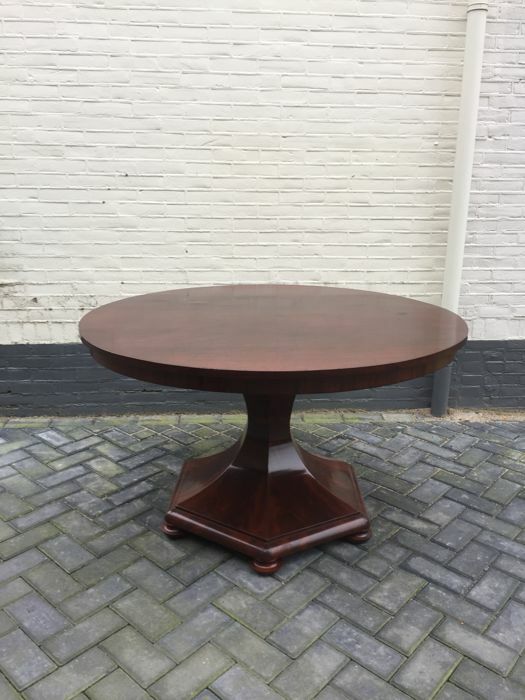 Table is in very good condition. 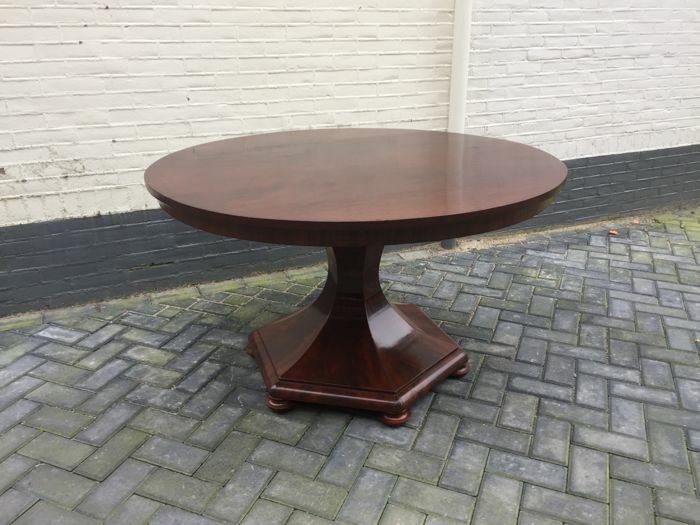 Tabletop with a diameter of 127 cm, resting on an elegant hexagon veil-leg. The total height is 73.5 cm. 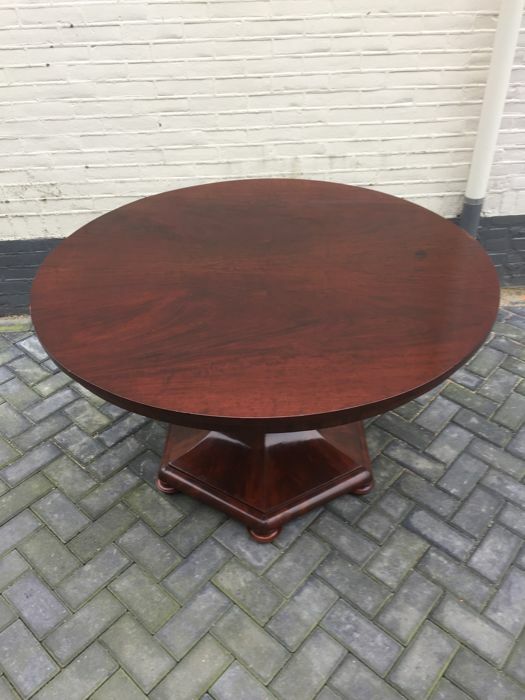 This table can only be picked up. Due to the size or fragility of this lot, the seller requires it to be picked up from Wezep (Netherlands).